prettyPopin is a jQuery plugin that serves as a modal box. 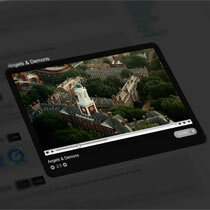 It is easily customizable and proved a lightweight solution to quickly and easily display content in context. It provides a nice way to display simple content or simple forms. prettyCheckboxes is a jQuery plugin that replaces the boring and plain default browser checkboxes with custom checkboxes. It is lightweight and highly customizable so you can get it to look exactly like you want it to. Plus you won’t loose any of the default behavior, this way you ensure you site remain accessible. This tweet got me thinking.